Cho-Pat Dual Action Knee Strap is helpful for Chondromalacia Patella, Jumper`s Knee, Misalignment of Quadriceps (Q Angle), Patellar Tendonitis, Patellofemoral Syndrome, Runner`s Knee. 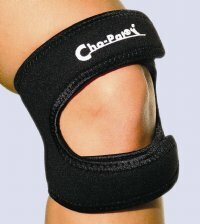 Cho-Pats newly patented Dual Action Knee Strap provides an extra dimension of relief for painful and weakened knees. The strap applies pressure upon the patellar tendon below the kneecap to stabilize and tighten up the kneecap mechanism, which improves patellar tracking and elevation and reduces patellar subluxation. It adds further strengthening to the kneecap mechanism by applying pressure on the tendon above the kneecap as well. This tends to reduce the forces of the quadriceps on the patella tendon and erosion of the under surface of the kneecap due to a possible misalignment of the quadriceps (Q angle). 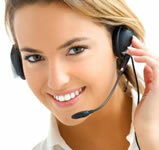 Reduces the likelihood of overuse syndromes?